Short-term bad-credit loans can be a way to get money quickly when you need it. With this type of loan, having a bad credit history is not going to be an obstacle that you have to overcome. Here are a few things to consider about short-term bad-credit loans. With this type of loan, you need to understand that you are most likely going to have to pay a high amount of interest. The lender is going to provide you with the money that you need with the understanding that you are going to repay it within a short period. Most of the time, you are going to have approximately 30 or fewer days to repay your loan. 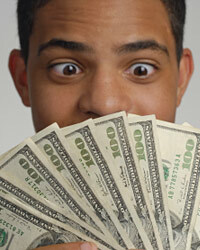 Depending on where you get the loan from, you could be paying exorbitant amounts of interest. For example, if you are getting a cash advance or some other similar type of loan, you could easily be paying 300 percent APR for your money. If you have bad credit, you need to spend some time thinking about whether this type of loan is in your best interest. You should only borrow more money if you know that it is going to help you financially somehow.